Come to this lovely home in Palm Beach Country Estates in Palm Beach Gardens, Florida. This three bedroom and three and a half bathroom is on almost over and acre and a quarter of lush mature landscaped grounds with a shared pond. The unique sunken living room has a cozy fireplace and soaring cathedral ceilings surrounded by a five foot walkway. The spacious master suite is located on the second floor for ultimate sense of seclusion. The master bedroom has its own balcony and fireplace! The master bathroom features a roman tub and separate shower and it's own hot water tank. The other guest bedrooms are all located on the first floor and have private bathrooms. The sparkling swimming pool has just been resurfaced with diamond brite this past summer. The air conditioning units are in three zones and two of the units are brand new. This home has public water. 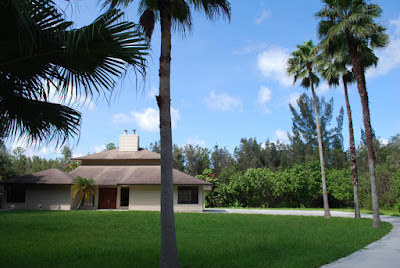 15259 85th North Avenue is located in Palm Beach Gardens, and is currently asking $500,000.00. This Palm Beach Country Estates listing is courtesy of One World Realty MLS# RX-10172262. Resident of Palm Beach Country Estates have world class dining, shopping and entertainment at their fingertips. Residents can enjoy all Palm Beach Gardens and Jupiter has to offer. In a short drive you can reach Harbourside Place, Gardens Mall, and Downtown Gardens.